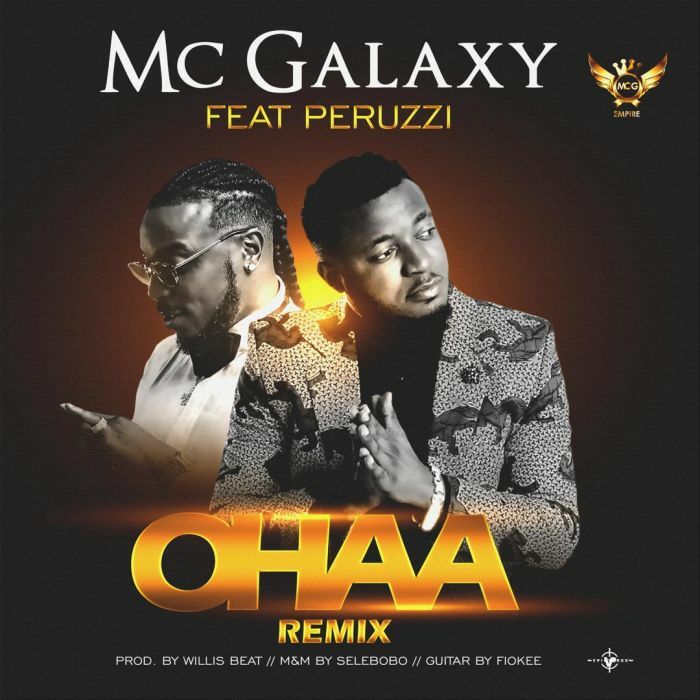 After much pressure from fans, Nigerian top musician, Mc Galaxy, teams up with DMW hit maker, #Peruzzi on the remix of his hit single Ohaa which was one of the biggest songs of 2018. Ohaa which was a huge tune and party anthem in 2018, has since gather thousands of views on Youtube and millions of downloads. The DMW hit maker, Peruzzi graced the track with his dynamic tune and catchy lyrics. Ohaa remix was produced by Willbeatz, mixed and mastered by Selebobo and the guitar sounds for the song was done by Fiokee. The singer would also be embarking on a US tour and campus tour this year and many of his fans are looking forward to it.